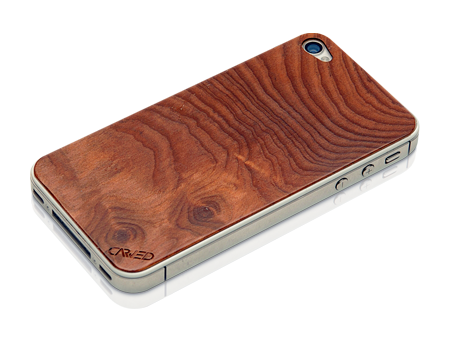 The Carved Wood Skin for the iPhone 4/4s is a great way to give your phone a stylish and natural look. Also provides protection from dirt and scratches. Protect your iPhone from scratches and nicks with an awesome, exotic wood skin that's hand-crafted in Elkhart, Indiana, from real A+ grade wood. The adhesive used on all of our skins is easy to remove and won't leave any residue on your iPhone. You can remove and reuse this skin many times! Compatible with the iPhone 4 and iPhone 4S only.